You know the routine. Your family wants to eat out and your kids are all calling for the same chain restaurants. Are you growing weary of the same menu every week? It’s time to branch out! Parker has a flavorful variety of options for dining. You don’t have to sacrifice flavor for a kid-friendly atmosphere. 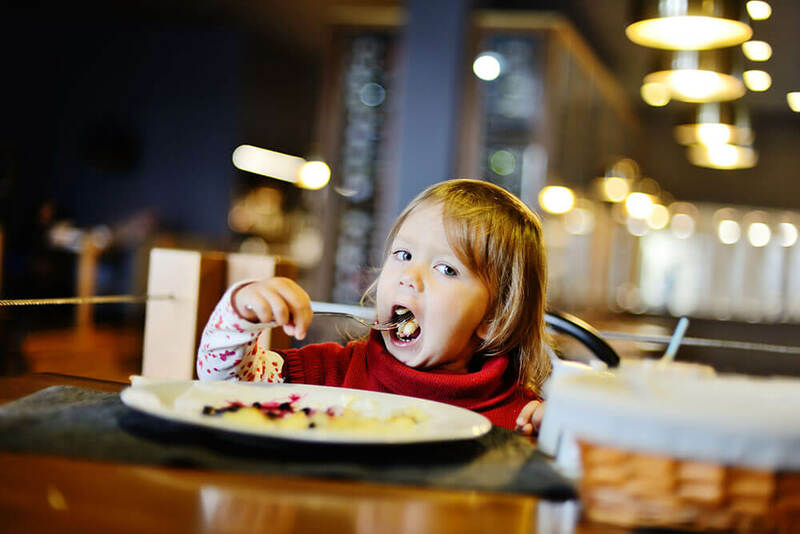 Here’s our top five choices for dining out in Parker with the entire family. Hickory House – Break out the wet wipes! The sticky, saucy, savory ribs at Hickory House are known for their addictive flavor and ensuing mess. Boasting the “best ribs in Colorado,” Hickory House is open for lunch and dinner every day of the week. Grab a seat on the patio and enjoy! Opa Grill – Combining the best of Greece and America, Opa Grill has been serving the residents of Parker with enthusiasm and energy for years. Customers love the lively, homey atmosphere and flavorful food. From classic Greek favorites like moussaka and spanikopita to American classics like grilled cheese, this friendly restaurant is focused on service and flavor. And remember, you haven’t dined Greek-style unless you’ve shouted “Opa!” at least once. Portofino Pizza and Pasta – Located in downtown Parker, Portofino Pizza and Pasta serves up home style Italian in a warm and friendly atmosphere. Pizza, pasta, calzones, heros and salads are sure to please everyone in the family. Don’t leave without trying the garlic knots! They’ll keep you coming back. Casa Mariachi – This family-owned, award-winning restaurant is famous for its margaritas and authentic Mexican food. The extensive menu includes everything from burritos and enchiladas to ceviche and exotic salads. And if, for some reason, the sombreros and colorful decor don’t inspire you to indulge your taste buds in flavors south of the border, they also serve up hamburgers and chicken nuggets. Pradera residents are just a short drive from these unique and family-friendly restaurants in Parker. If you’re looking for a romantic dinner for two or a fun night out with friends, there are plenty of other dining options in Parker, as well as nearby Castle Rock and Park Meadows. Take advantage of the local flavor and explore!